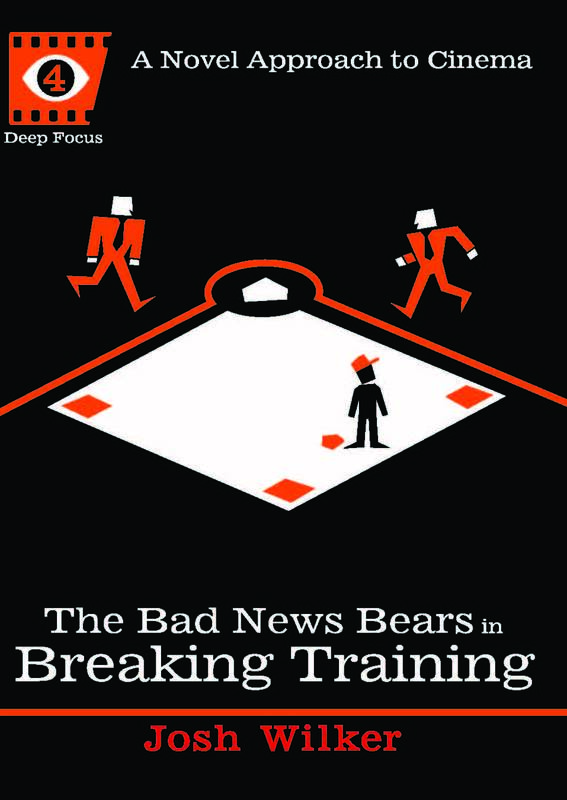 Several members of the Bears get to take a turn being a hero in The Bad News Bears in Breaking Training. On first glance, Jimmy Feldman doesn’t appear to be one of them. However, when I think of the powerful pull the film had on me as a kid from its opening moments, when Jimmy and Toby are shown rolling down the sidewalk toward the little league field on cheap skateboards, I think of a team—and, by extension, an entire irresistible fantasy of baseball and parentless adventure—that seemed as if it could easily have included me among its members, and somehow Jimmy epitomizes that feeling of collectivity and openness. Kelly Leak might have been the mythically cool longhair at the wheel of the customized van that carried the Bears toward the Astrodome, but when I picture my childhood self joining this team, I see Jimmy Feldman holding open the back door and waving me in. Jimmy Feldman was played by Brett Marx, grandson of Gummo and great nephew of Groucho, Chico, Zeppo, and—most obviously and pleasingly—his fellow Jewy blond good-hearted mophead Harpo. How could you not love a team that had among its roiling mass of boys an echo, in miniature, of everyone’s favorite harp-playing hobo-ragged agent of anarchy? In the first Bears movie, Jimmy Feldman’s Marxist presence in the background helped signify the team as an absurd and colorful melting pot of pint-sized clowns and misfits. In the sequel, as the Bears ventured out on the road, Jimmy Feldman’s ability to convey a sense of open-hearted wonder helped define the key element of the 1977 sequel: The Bad News Bears were loose on the world and glad about it, laughing, amazed. The wide-eyed Jimmy Feldman is only shown having one at-bat during the game in the Astrodome. He pops out. His spot in the order is right after Kelly, suggesting that he’s the second or third best power-hitter hitter on the team, after Kelly and possibly the third-place hitter, Engelberg. As the game goes on, the Bears lineup—out of directorial laziness or dramatic expediency or both—collapses into an inexplicable jumble. After Kelly’s second at-bat, a one-out two-run home run, no more Bears batters are shown in the inning; instead, the action cuts straight to the Toros batting. The next time the Bears bat, Toby is shown leading off the inning, and since the first glimpse of the batting order had established that Toby directly followed Jimmy, in the second time through the order Jimmy must have batted after Kelly’s homer and must have somehow and against all logic and rules of the game made two outs all by himself in one time at the plate. By the final inning, Jimmy disappears altogether from the lineup, Jose batting after Kelly, apparently in Jimmy’s place, though by then the lineup is such a shambles that it seems the makers of the movie believed that at-bats in baseball were scattered around randomly, like candy from a shattered piñata. But Jimmy Feldman does contribute to the win, albeit only via some appropriately Feldmanesque marginalia. In his biggest on-field moment, he is shown pumping his fist—and, presumably, firing up his teammates—after fielding a grounder and throwing out a guy at first. (Not for nothing: Unlike some of the other actors employed in the movie, Brett Marx appears to have been a kid who knew how to play baseball; this is clear not only from his fielding and his good throwing motion but from the fist pump, an athletic kid’s motion.) In his other key moment he is a spectator, in the dugout next to Coach Leak, watching Tanner elude the men who want to remove him from the field and end the game. Jimmy marvels at Tanner and cheers him on. 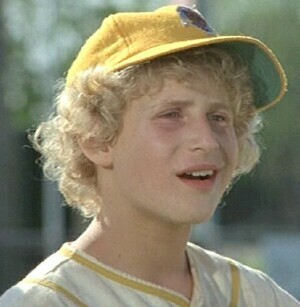 All the guys do, but for some reason when I think of the Bears cheering for Tanner I think of the curly-haired third baseman played by a boy channeling his ancestral gift for broad, warm pantomime. Really, he had no more or less influence on the game than I did, and I guess that’s the point. He was like me, like all the baseball-crazy boys who fell in love with the slapped-together sequel, a kid who cared, who didn’t want the game to end. You are currently browsing the archives for the Jimmy Feldman category.